What makes a racehorse so unique? In the lead up to the Investec Derby Festival, EP also created a four-part series of short teaser films showcasing the anatomy of the racehorse. Each teaser – head, heart, lungs and legs – puts the spotlight on the areas of confirmation that enable racehorses to perform. For example, racehorse tendons are 20 times better at storing energy than a steel spring and they are capable of 0-40 mph in only six strides. The EP team are soon to release a behind-the-scenes video to highlight some of the technical features used for the film and four-part series. This includes a close-up look at an underwater housing and how it was used, slow motion pictures at 240 frames-per-second, and how a gimbal was utilised to obtain the slow motion shots at the long end of the lens. Newbury Racecourse was chosen as the location as it offers the perfect environment to obtain the shots for the creative. 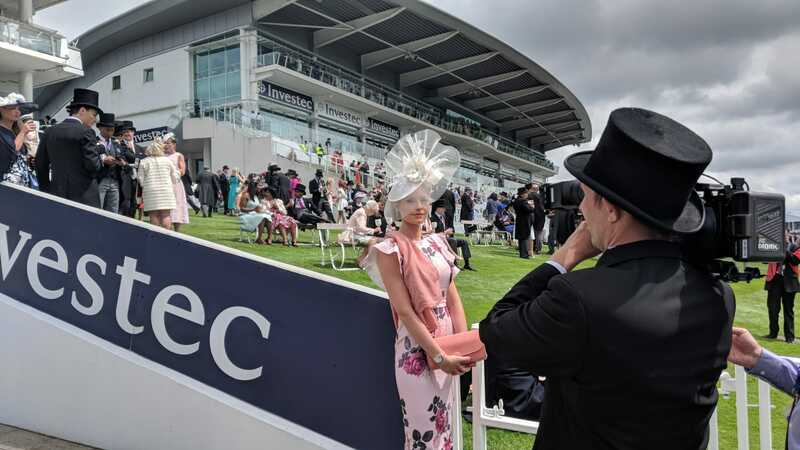 It has been a pleasure for the team to create a bespoke piece for the Investec Derby Festival and film during the festival in advance of the 2019 Investec Derby promotional film. On behalf of Equestrian Team GBR, EP is currently working on some exciting new content ahead of a summer campaign in the countdown to the FEI World Equestrian Games in Tryon later this year. Showcasing five of the eight FEI equestrian disciplines – eventing, dressage, para-dressage, showjumping and vaulting – the original content will provide an insight into each discipline whilst promoting the equestrian sport on a larger scale. EP is taking a fresh angle on the content for universal reach, aiming both to engage the core fan-base and educate new audiences about the equestrian sport. Watch this space – more to follow shortly!